Bootstrapping is a term that has long been known to business owners when they begin their own dream company. It’s a phrase used to express the need to fund a small business with your own money and it’s something that entrepreneurs have been doing for decades. If you want to push your dream business forward, you have to come up with the goods to fund it and get your idea out there and to the people that you want to see what you can do. If you aren’t making sure that you do everything that you can to save your cash, then your dream won’t get off the ground. Cash Only. When you want to save some money, you need to be able to see it. Ditching the slices of plastic and taking cash out of the ATM is the best way to do that. Cash makes you think twice about what you are spending, and it’s far easier to stick to a weekly budget with cash. Pay Off Bills Early. Where you can, pay your own personal bills and mortgage off early. Some people like to pay their mortgage twice a month on an accelerated payment program. You can reduce your mortgage length by eight to ten years, which can be beneficial when it comes to freeing up cash for your venture. Avoid ‘Buy Now Pay Later’. 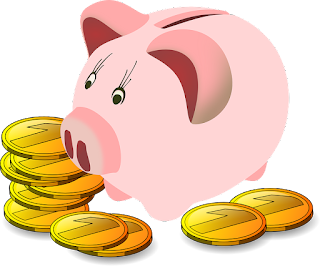 When saving money, you should live by the mantra that if you don’t have the cash, you cannot afford to buy it. Buying with the later payment option may seem like an excellent idea at the time, but all you’re doing is giving yourself new debt. Focusing your finances so that you can manage a budget for your home, save a working capital for your company and save an emergency savings fund at the same time is not going to be an easy thing to do, but it is going to be what you need to do to stay secure in your finances. Managing your money well will give you the start you want!